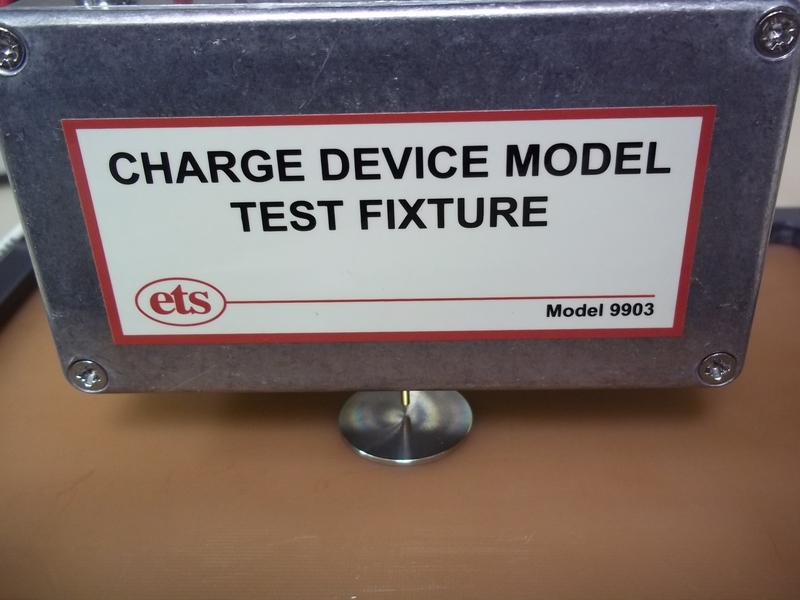 Model 9903 Charged Device Model Test Fixture - Electro-Tech Systems, Inc. 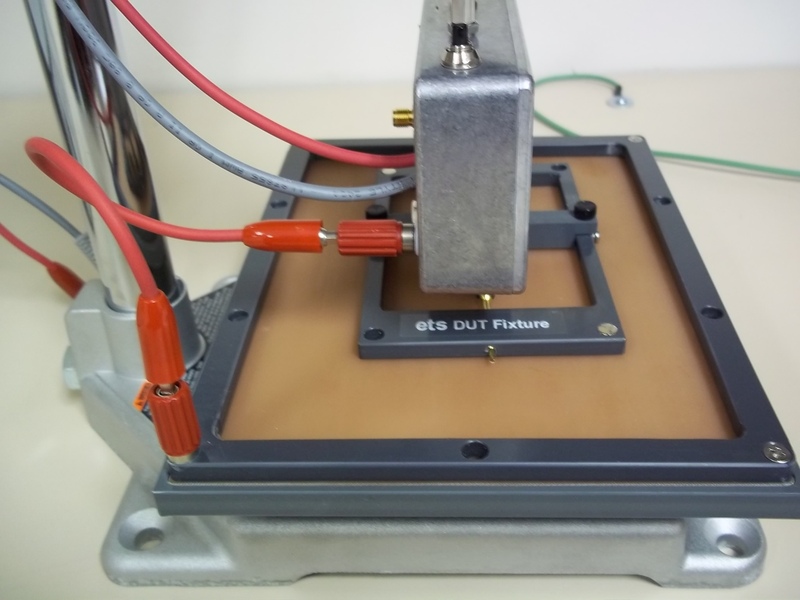 The new ETS Model 9903 is fully compliant with Specification ANSI/ESD/JEDEC JS-002-2014 and related methods offering both large and small disk calibration compliance. 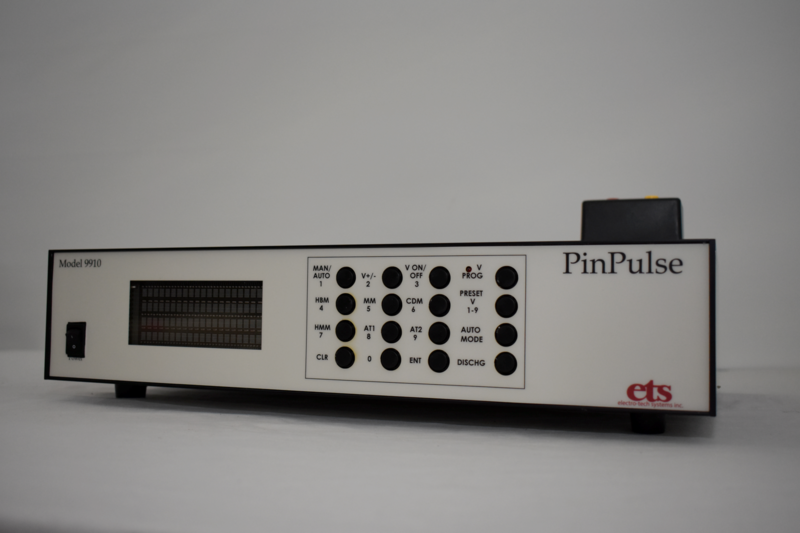 The system is designed to work as an add-on to all ETS 9910 Series ESD Simulators and brings fully compliant induced CDM testing capabilities to your laboratory and production department. 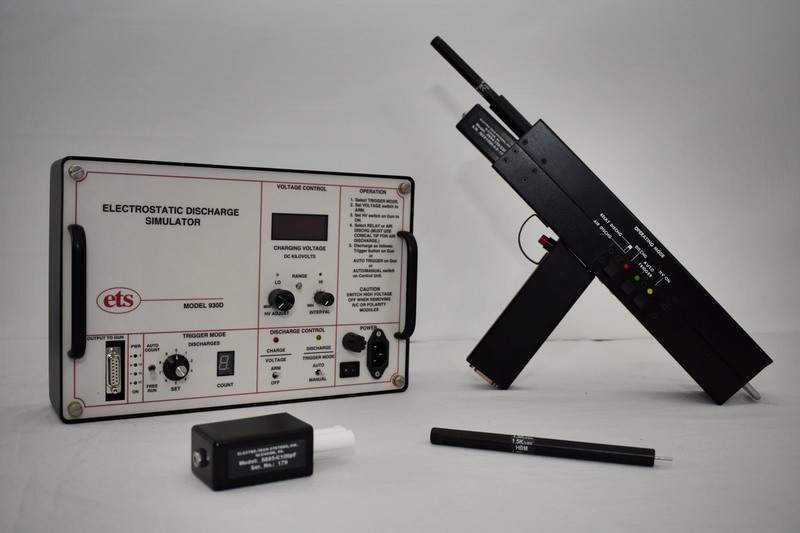 The Model 9903 Charged Device Test Fixture is a completely integrated unit that provides the means of performing both direct charge and field induced CDM tests. 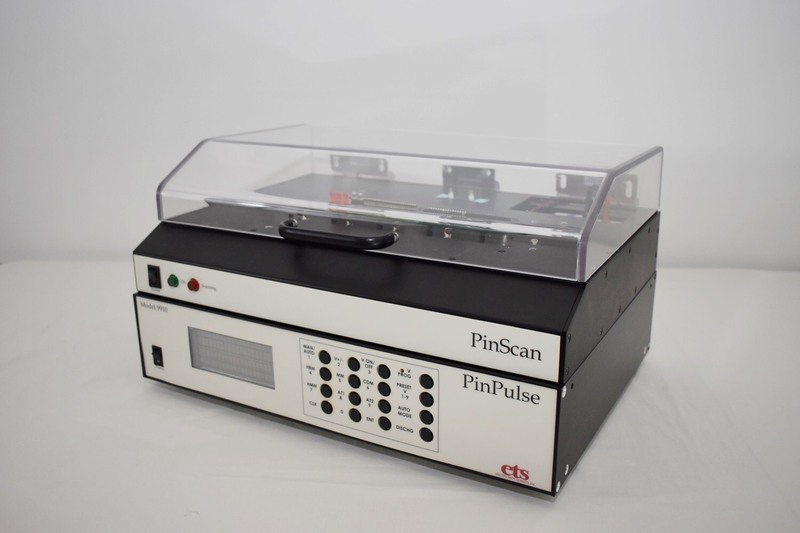 The Model 9903 CDM Test Fixture consists of a magnetic stainless steel field induction plate/ground plane and a control module that controls the charging and grounding function. It contains the upper ground plane, spring-loaded discharge pin and the discharge button. 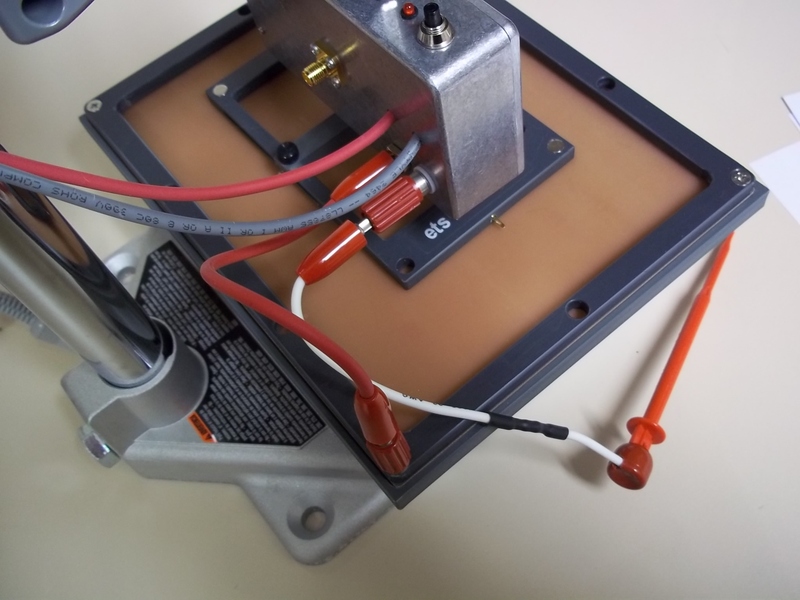 The internal control electronics time the charge and discharge function of the field induction plate and DUT. This enables the DUT to be charged and discharged multiple times at the same polarity. In addition, the module contains a precision current sensing circuit for measuring the discharge current. 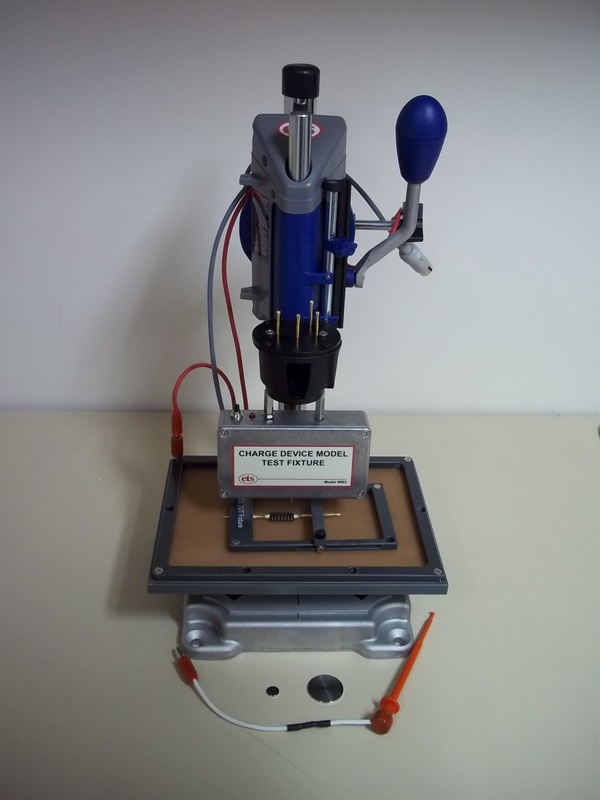 The entire assembly is mounted on an arbor press fixture for performing the test. The adjustable DUT holding fixture holds devices up to 2.5 x 2.5” (64x64mm). The fixture itself has magnets to help align the desired pins with the discharge electrode.